I'm back logging this post because I didn't get to post it in time until now. 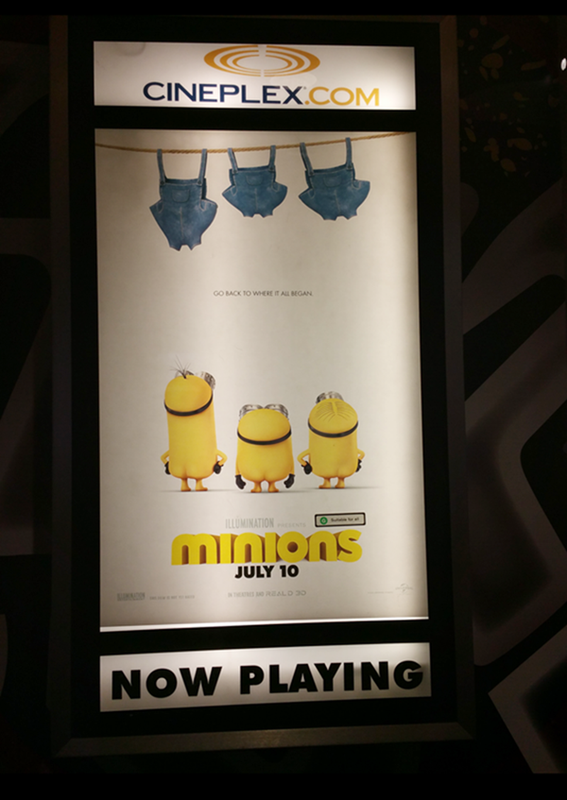 I went to watch the Minions movie with my friend Stephanie on Friday which I have been soooo excited to watch! I even watched the trailers soooo many times before seeing the movie in theatres. 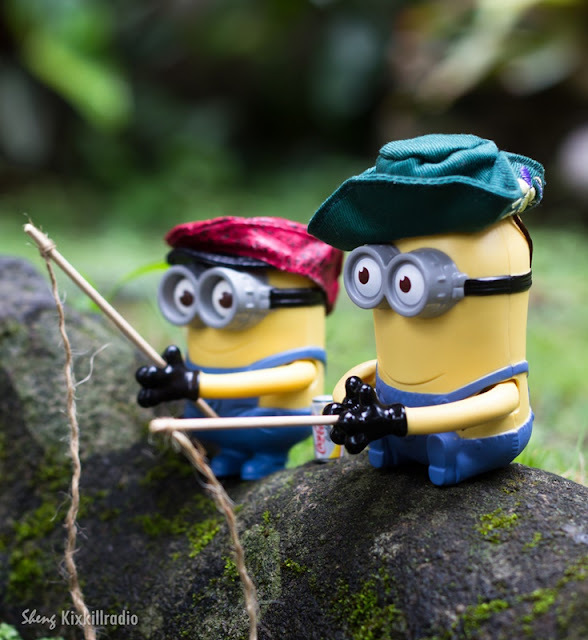 XD I have never really been that minions obsessed when I watched both the Despicable Me movies but the minions movie was just toooooo cute! 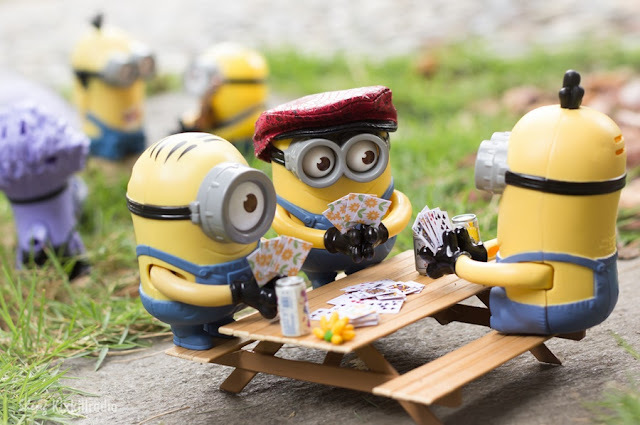 (｡♥‿♥｡) I love Kevin, Bob and Stuart, especially Bob and Stuart. Stuart is just hilarious and Bob is way too cute that he looks like a little teddy bear and I just want to hug him! 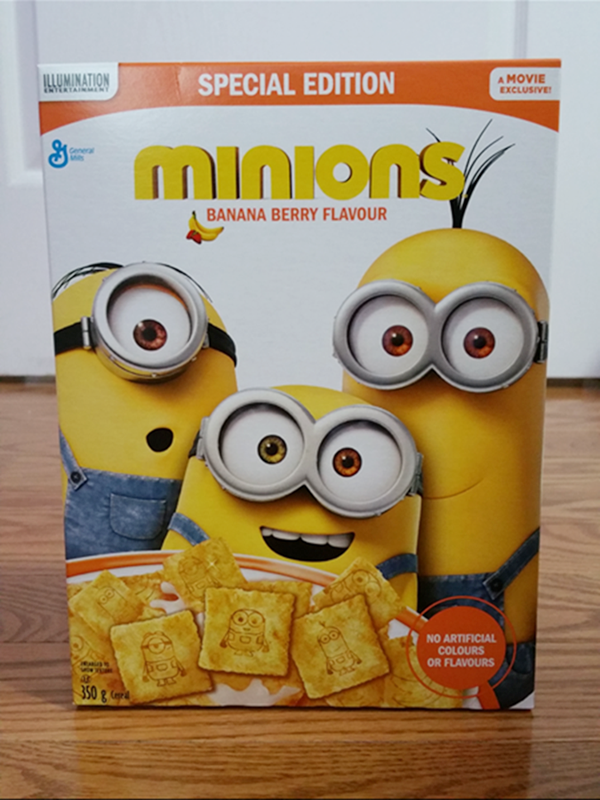 I went shopping at Wal-Mart a few weeks back and found this movie special edition of minion banana berry flavour cereal. I needed to get a new breakfast because I was almost done eating the breakfast I had at work and this was just perfect! I bought it because I thought the cereal pieces had the minion characters on them but it actually doesn't! OMG what false advertisement. 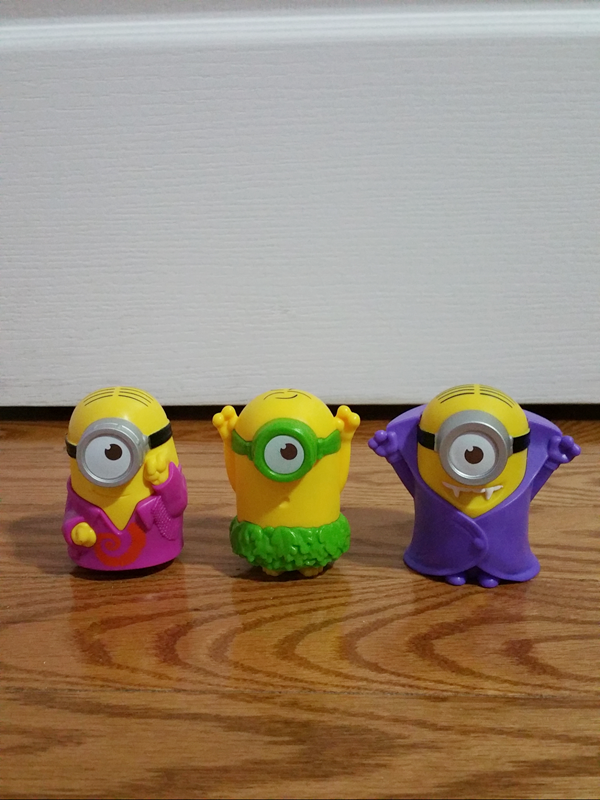 I was quite disappointed when I opened the bag of cereal and discovered that there were no minion pictures on any of the pieces. T___T But the cereal does taste pretty good though and I'm actually almost done eating the entire box, lol. 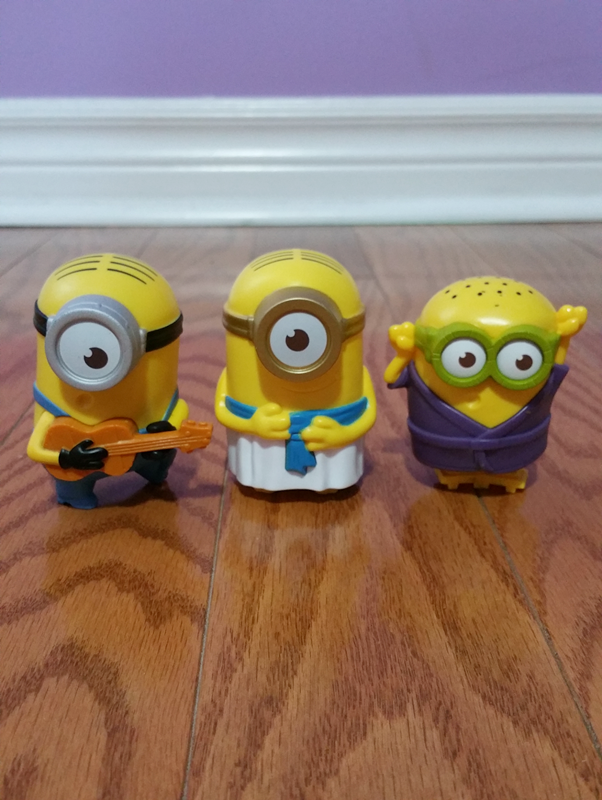 McDonald's Happy Meal Minion toy hunt! So I didn't know that you could actually just buy the toy and not get the happy meal at McD's until a friend told me. I never collected the other minions collection for the Despicable Me 2 movie but I decided to get them this year because I wanted them for a reason (which you will find out why in the post at the end) and I didn't really want to collect all 12 of them, just specific ones that I liked. =P I really wanted Bob and Kevin because I have Stuart and I wanted to at least have a complete set of all 3 of the main characters but I couldn't get them. 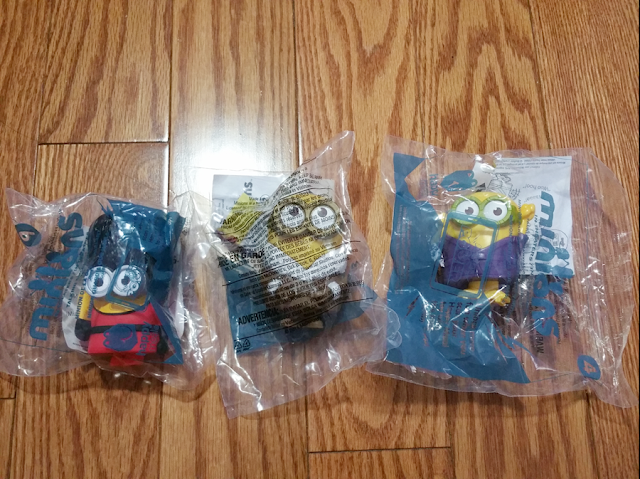 (TT___TT) I exchanged some of my minions with a friend to get the ones I wanted too, lol. 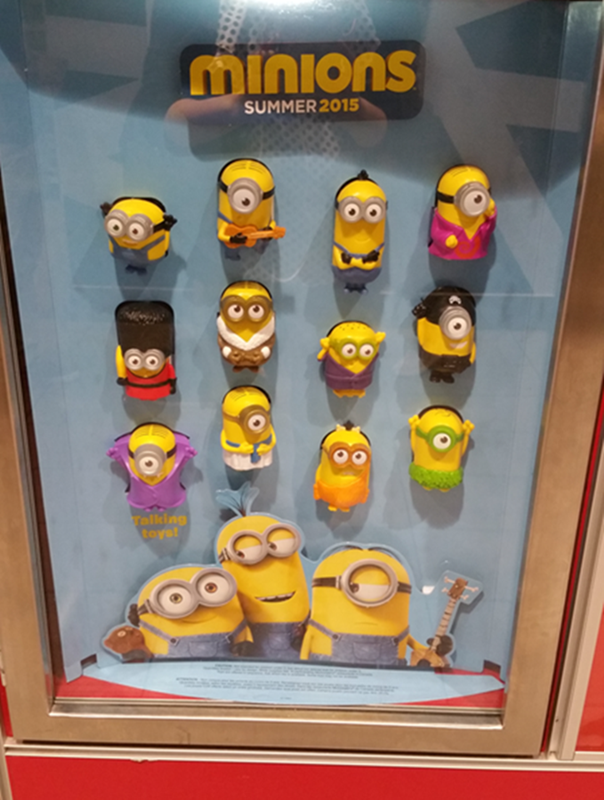 So why did I want to get the minions? 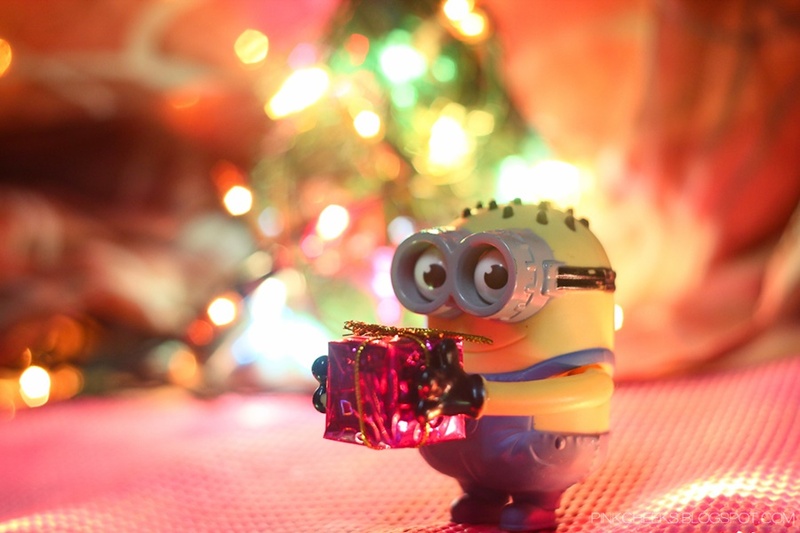 Because I wanted to take photography pictures with them such as like in the pictures below.